The very first time I met Cheri, I knew that she was special. By the time I walked her back to her dorm after our first real date, I was in love. She captured my heart with her long blonde hair, her stunning beauty, and her confident wit. I never even thought about dating another girl after that night. I was in love, but that was only the beginning. For the next three school years we were together every chance we could get. We attended formal events, walked to classes together, and met for lunch nearly everyday. We went to basketball and soccer games that we didn’t care about. We attended speech recitals for people we didn’t even know just so we could be together. The events around us simply didn’t matter. We just wanted to spend time together. As we spent time together we progressed from being in love to loving each other. It only took an evening, at least for me, to fall in love. But to grow into a love relationship, we needed to spend time together. I think that many couples who fall out of love do so because they stop investing the time in their relationship. It’s an easy trap to fall into when we have to deal with careers, kids, friends, church, and civic responsibilities. Those are all great things, but we can get so caught up in other things we forget to invest time in our love relationship. Without the investment of time, we lose sight of love. Love takes time. We had an exciting New Year’s Eve this year. 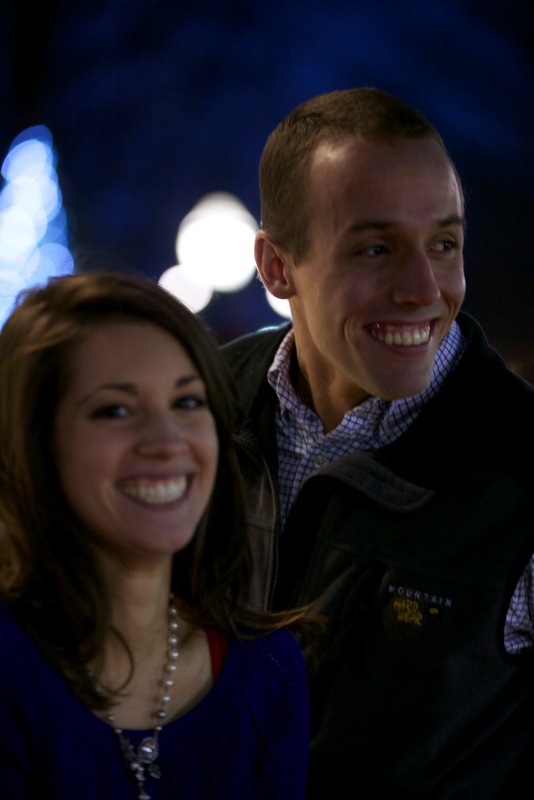 Our youngest son, Tyler, proposed to Aimee, his sweetheart since the beginning of their freshman year in college. I’ve seen them invest the time in getting to know each other. Over the past three school years they have progressed from being in love to loving each other. Despite their busy schedules, they’ve spent time together doing many things that matter and some things that don’t. I encourage them to always make time to be together. Love takes time. Good stuff, Joel.... Congratulations to all of you again on Tyler and Aimee's engagement!